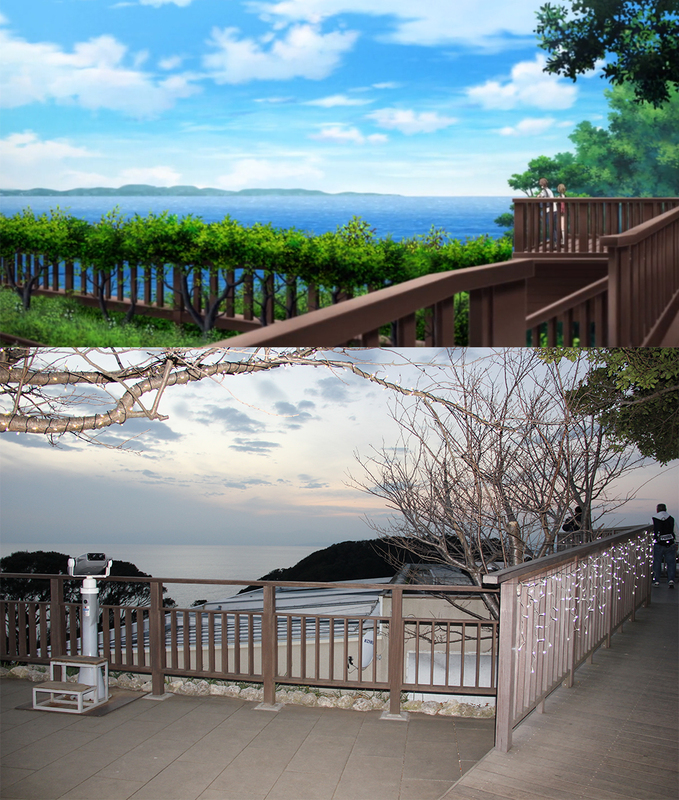 During the holday trip to Japan, I went to Enoshima to exlore the area. Here’s some pictures I took, which are the Bunny Girl Senpai sets in real life. 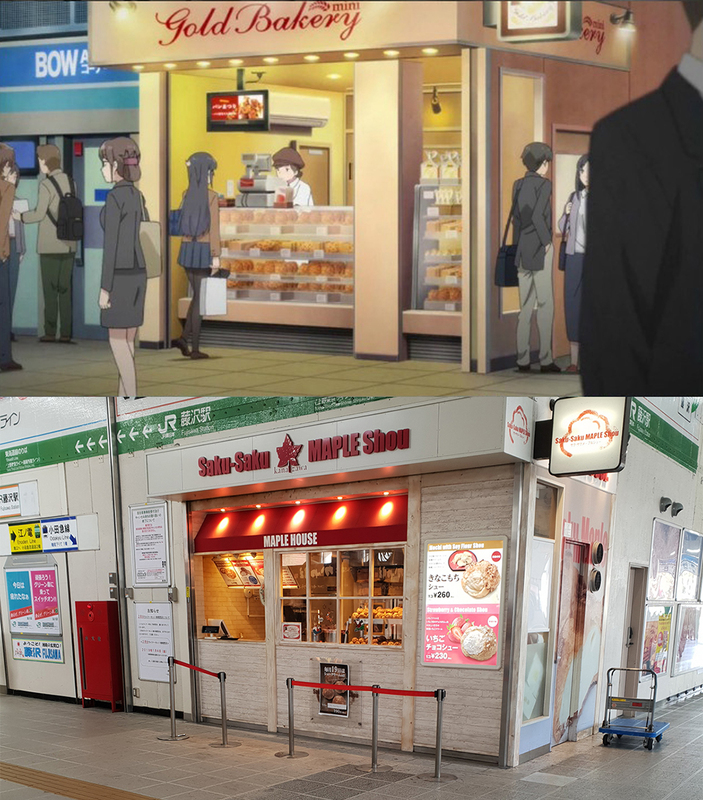 Bakery in Fujisawa Station where Mai get ignored. 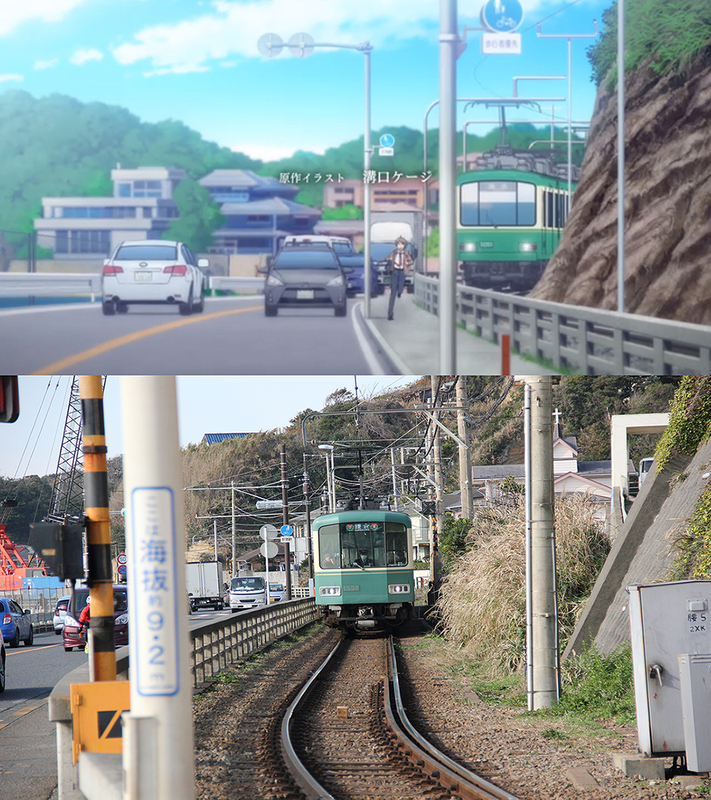 Enoden line near Kamakura-Koko-Mae Station where Sakuta chasing the train in the OP. Shichirigahama Station. The school is few mins walk from here. 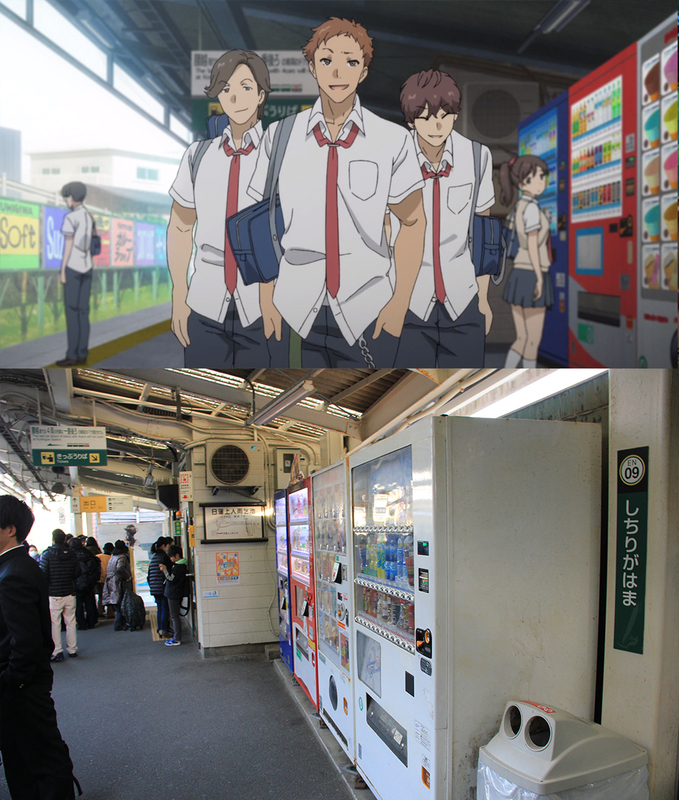 Inside Shichirigahama Station where Sakuta kicked the Basketball Club senpai in front of these vending machines. Shichirigahama Beach. Almost all the beach scenes happend here. 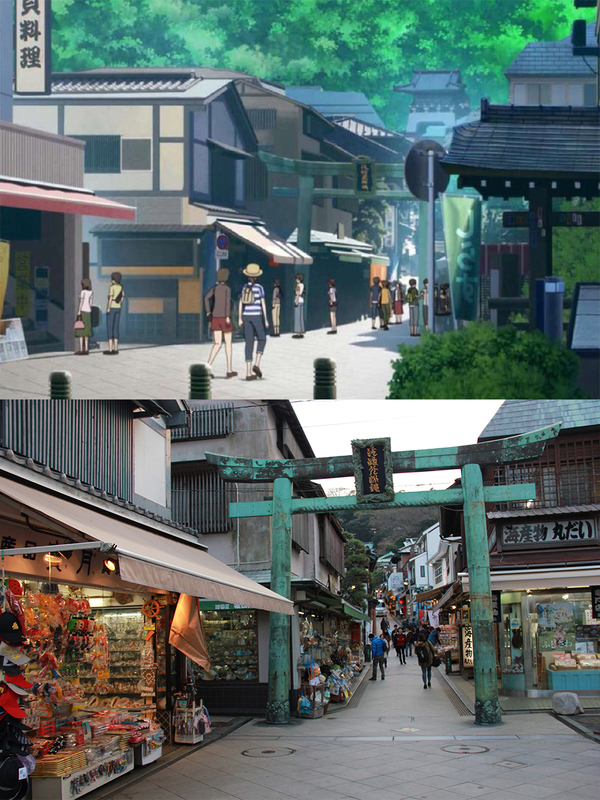 The entrance of the shopping street where Sakuta and Koga went for a date. 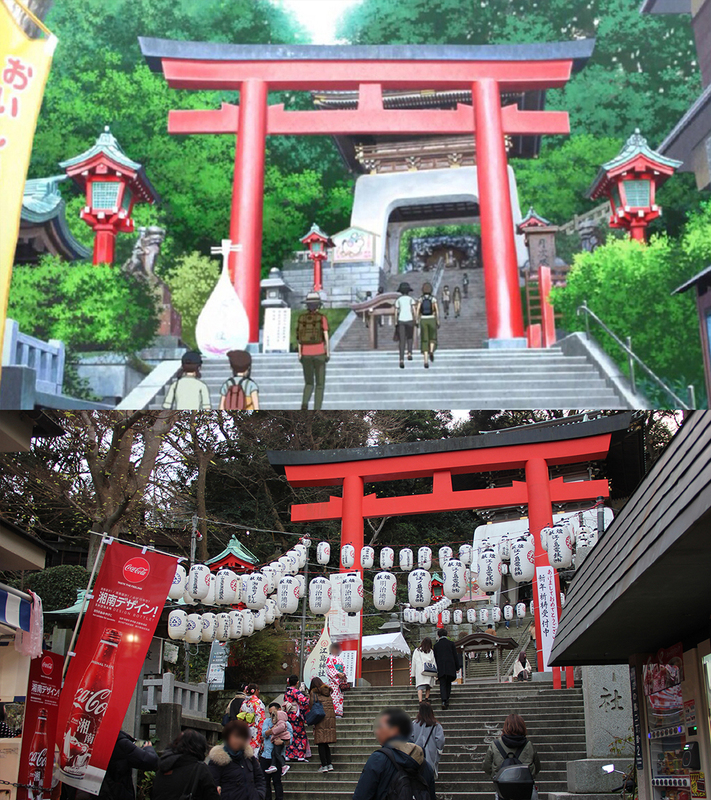 Torii gate of Enoshima Shrine. 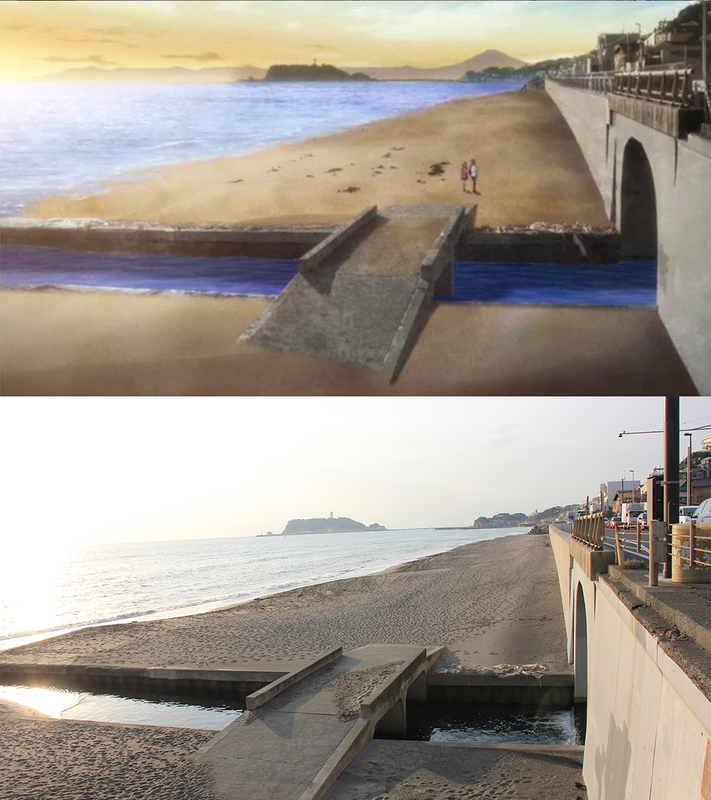 Enoshima beach under the bridge where Koga made her new friend. In reality, there’s isn’t a stair so you’d have to walk all the way back to the beginning of the bridge. 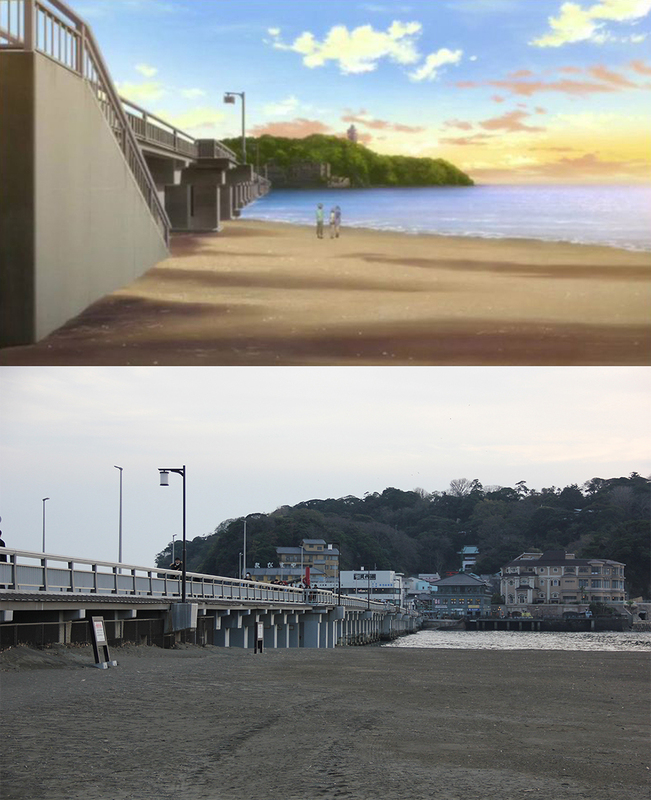 This is also the beach in the ED where you can see Enoshima Island and Mt. Fuji in the back. The platform in the final scene of Koga’s arc. 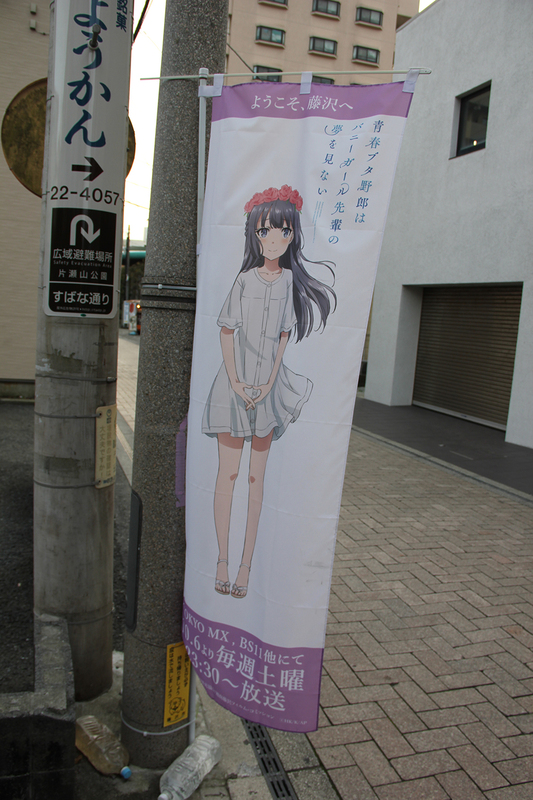 Shouko’s poster on the way to Enoshima Island from the station. 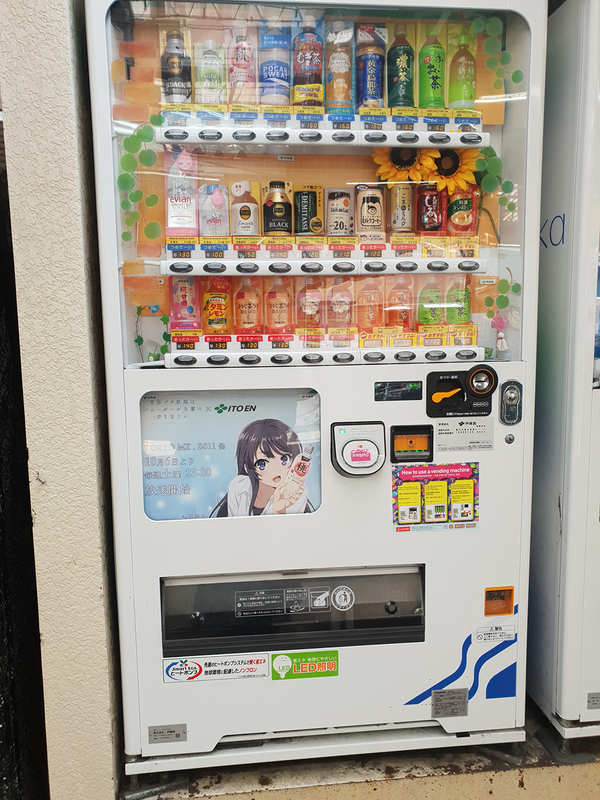 These vending machines are everywhere in the area. 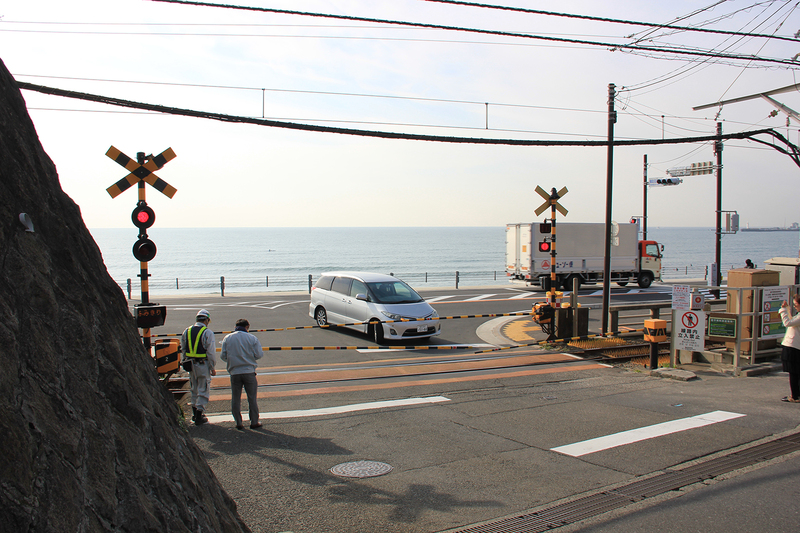 The railway crossing outside of Kamakura-Koko-Mae. Famous for a scene in the SlamDunk’s OP.